If I ever won the lottery, the chances are that rather than spending it on a new car or holiday to the seychelles, I would probably be more tempted to use the money to create my ultimate kitchen, with all mod cons, perfect for cooking lots of delicious vegetarian food in. 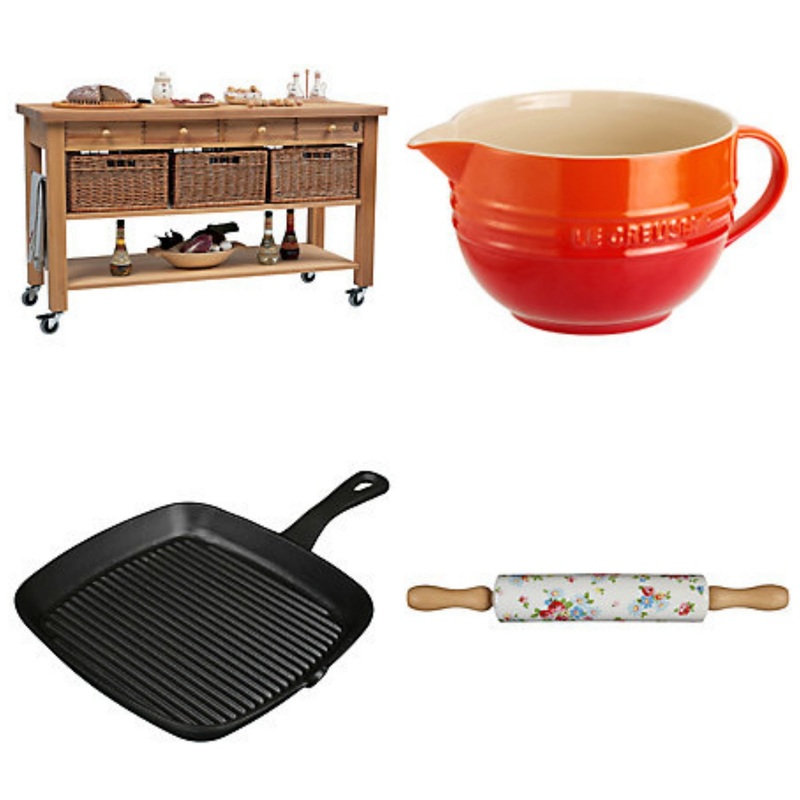 Obviously, I would also need a vast selection of cookware, kitchenware and accessories to furnish my kitchen with! Recently, I was invited to put together a wish list of my ultimate kitchen must haves, and I jumped at the chance - well who could resist creating their ultimate kitchen purchasing guide?? 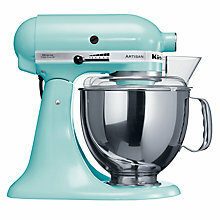 First on the list would have to be a Kitchen Aid - I have been lusting after one of these for a while. I think that a kitchen aid would transform my cooking. I am rubbish at making cakes, but hopefully with the help of a kitchen aid, I could be pulling out all of the stops for the PTA cake sale! Another must have would have to be a new food processor. 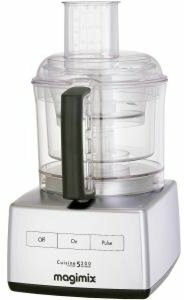 A good food processor is essential in the kitchen if you love to cook, as it is essential for helping to prepare meals, cutting, chopping, mixing and liquidising. As I like to cook often from scratch, I frequently use my food processor, I don't know what I would do without it! You can view the full range of John Lewis Food Processors here. A Butcher's Trolley: - quite ironic, seeing as I'm vegetarian, but this trolley would be great for moving around the kitchen and creating a bit of extra space. It would also make a great serving trolley for storage and entertaining! La Creuset Jug: I love La Creuset, and am slowly trying to build up my collection, so this jug would be a fantastic addition and hopefully one day, I may be able to display it all in my ultimate kitchen! Griddle Pan: I'm not sure why I don't have one of these yet, but I don't.... and I want one! Cath Kidston Rolling Pan: The ultimate in kitsch, I love this ceramic rolling pin, and it would come in handy for rolling all of the pastry I make. So those are a few items on my kitchen wishlist - What are your ultimate kitchen purchases? 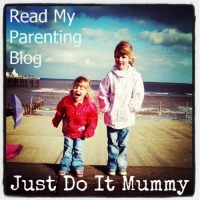 Disclosure: I received payment for writing this post. All opinions are my own.